On December 27th my two hens Lois and Cleo got into an argument, that ended with blood dripping all down poor Lois’ face from a nasty bite on her comb. I took her inside, stood her up in front of the kitchen sink and got to work cleaning the blood of her head. I used a soft towel dipped in warm water, and once most of the blood was gone and the wound had stopped bleeding I applied a layer of Nature’s Sunshine Silver Shield to protect the wound from any bacteria or infection and was set to take her back out to the coop. She had been such a good girl, I thought I would reward her with a piece of shredded carrot before she went back, and that’s when I noticed it. Little tiny specks crawling all over my hand, and my arms, and all over my sweater. I’m itchy just thinking about it! Needless to say Lois was rushed back outside and I went to work DE-ing myself, my kitchen, and anything else that came in my way. (I lightly dusted her too before I stuck her on the roost with her sisters). We have mites. Northern fowl mites to be exact. Since we had not introduced any new birds to our flock my guess is that they came in on the wild birds, that have been making a habit of eating out of the goat food bowls before we started on our commotion free feeding system. When the goats were running back and forth between dishes little chickadees would fly down and grab some of their grain. I had thought it was cute at the time. Now I’m like “chickadee be gone!” I have since let my bird feeders hang empty, and with tying the goats to eat, the birds have stayed away. I love watching the wild birds so the bird feeder on the other side of the house and well away from the barn will probably get a refill one of these days. 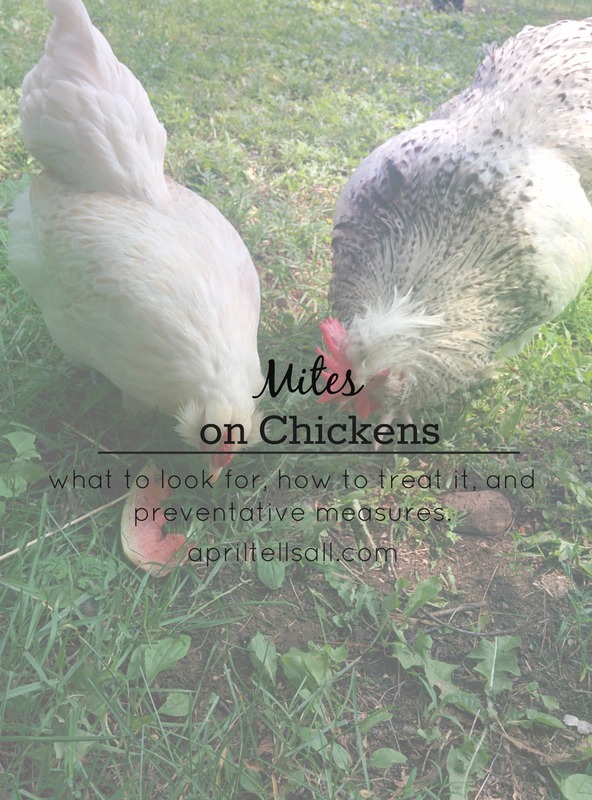 That night I read up on everything I could on mites and chickens, and what to do about it. The next day I went to work cleaning and spraying the barn. We are very alternative in our health and prevention practices, and aim to use natural whenever possible. Most people think that natural always means safe, but you do need to respect some natural solutions as well. Diatomaceous Earth. To be clear I am talking about the food grade D.E. It is a fine white powder that is made up of hard shelled algae that has been fossilized. These microscopic fossilized pieces of algae are very sharp, and scratch and dry up insects when they come in contact with the powder. Do not breath it in! Your lungs are soft and spongy, a prime location for D.E. to do some damage. A face mask is recommended. D.E. will work on good bugs and bad bugs, so be careful where and how you use it. Garlic. I love garlic. It can be used for just about anything, both externally and internally. 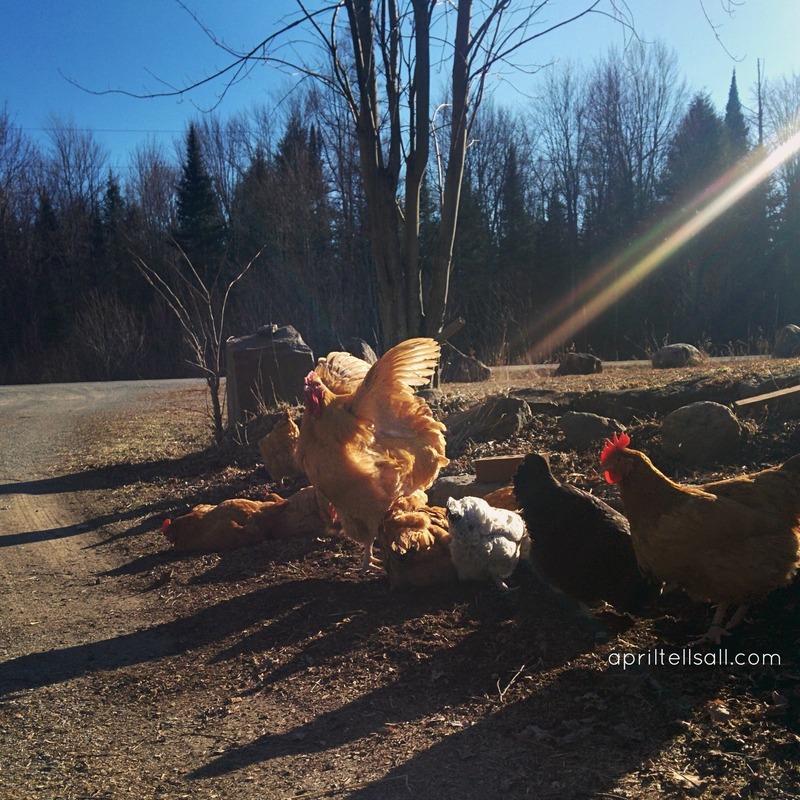 Essential Oils (for the Chickens) – Lavender, Pine, Peppermint, and Lemon. There isn’t a lot of research on essential oils with chickens. 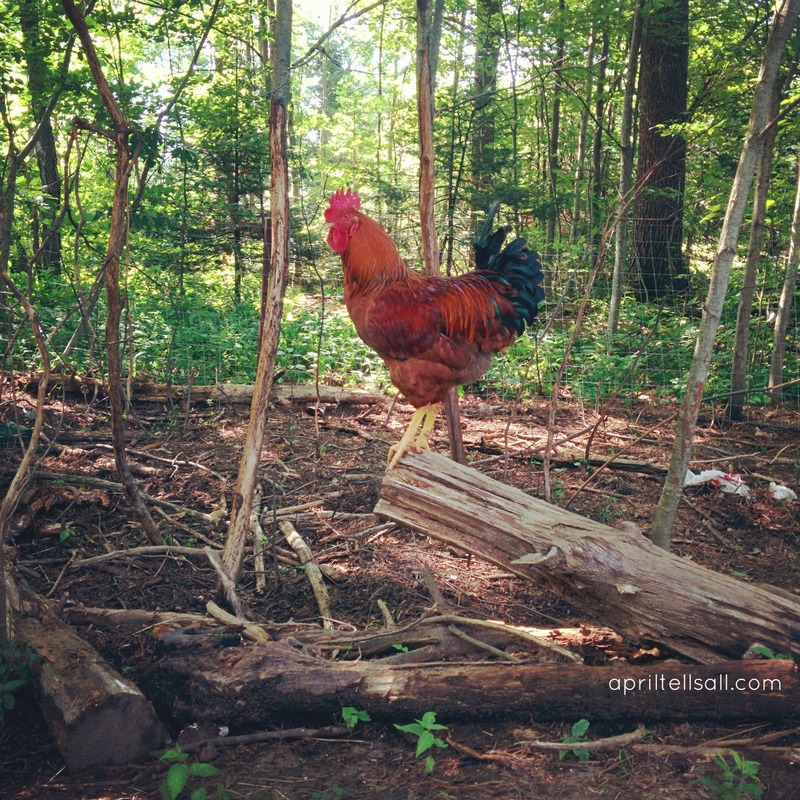 I decided to go with ones from plants that the chickens would naturally eat. Lemon was the exception, as some people say citrus is not good for chickens. I only used a little bit of lemon but decided to use it because of its insect repelling qualities. Chickens preen and clean their feathers with their mouths so you want to be sure to use oils (or anything for that matter) that are non toxic. Also please note that these are therapeutic grade essential oils and not fragrance oils. Lastly I sprayed the birds with a E.O. and garlic juice mixture. When spraying chickens for mites be sure to spray the vent extra well, and under the wings. Hubby helped me with this, and by the third day they knew what to do (bum, arm pit, arm pit, overall spray, rub it in, you’re free to go), and I was able to do all 8 hens myself. * To make it a little easier, especially if your chickens are not tame like ours, do it at night or in a dark spot. We took one hen at a time into the goat pen (because it has a hook so you can close the door from the inside, the chicken side door does not), and closed the door so it was relatively dark when we sprayed them. This caused less stress for all of us, and less flap from them. Mites can live for 4-5 days and lay 100,000 eggs during that period. 100,000!!! That is liable to get out of control very quickly! We were lucky to have caught it relatively early, as there wasn’t a lot of egg deposits built up in their feathers at that point, nor where they showing any outward signs of having a mite infection. Even if it looks like you are winning be sure to keep spraying for at least 3 weeks to make sure you have killed the laying cycle. 1 oz of garlic juice – I bought a bunch of garlic and ran them through my juicer. My house smelled like garlic for days, but it was a cheaper and doable route for me. Wear a “barn coat” or washable clothing. I just wore my coat because it is freezing here and I only have one coat (dry clean only of course). I’m scaring away vampires now let me tell you! Within 24 hours the mites that we saw crawling on their little behinds had decreased by half. I also mixed a bunch of garlic powder into their feed, and put a couple of cloves in their water. After a week the temperature dipped too low here for us to spray them without the risk of frost bite or hypothermia. (We’re talking minus 20 Celsius as a day time high). I’ve continued to put E.O.s in the coop every other day, really concentrating on the nesting boxes. The mites on the girls themselves continued to decrease and yesterday when I checked them I saw no mites on the majority of them. (We have a few that had them really bad, my guess is they’re the ones with the weakest immune system, and they were still carrying a few). We did dust the girls once with a D.E. and garlic powder mixture that I put in the toe part of an old pantyhose (for easy dusting). I did not find this to be as effective, and had a hard time trying to keep the hens head away from the dust puffs (she shouldn’t be breathing in the D.E. either). Making sure they always have somewhere to dust bathe. Dust bathing is the chicken’s number one defense against mites, but when you’re buried in 2 feet of snow and everything is frozen solid it is hard for the girls to find somewhere to go. I put a box of sand in their coop (which they didn’t touch). We also dump the ashes from the wood stove in a corner of the paddock for them. Their favourite spot though is in the wood shavings in the goat pen. Dried mint, rosemary and lavender in the nesting boxes. 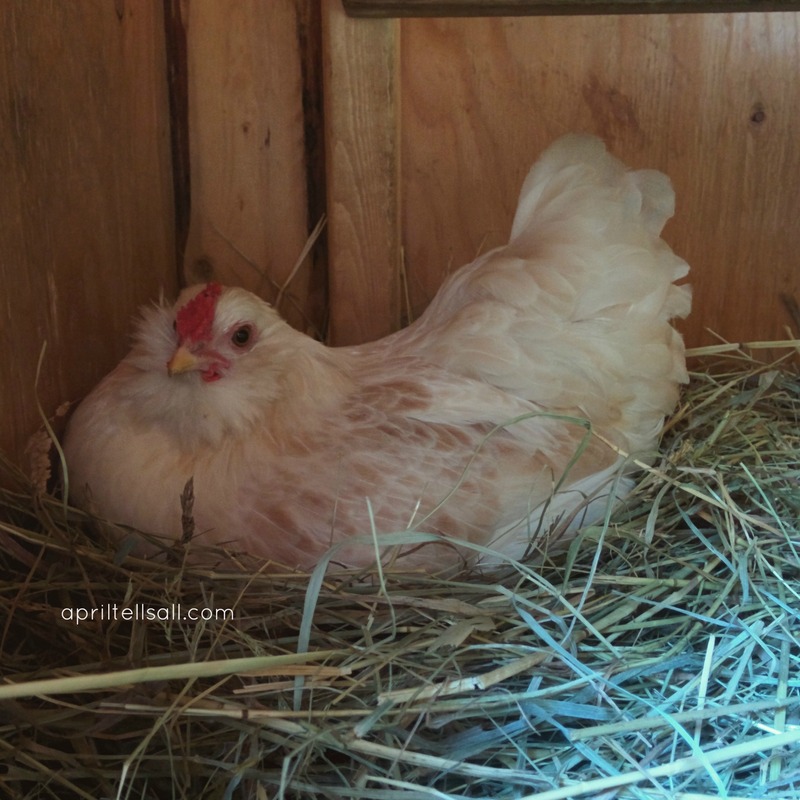 Update (April 2015): The E.O.s in the coop really helped to keep the mites at bay, as well as consistent cleaning, however because we did not spray the chickens themselves (due to extreme cold) the mites were still present. Now that the weather has warmed up a bit I have been spraying the chickens daily again, and after the second day of spraying them I only found 2 mites total on our worst infected hen. Be sure to consistently keep up with the coop and the girls for a minimum of 3 weeks to kill off any larva. 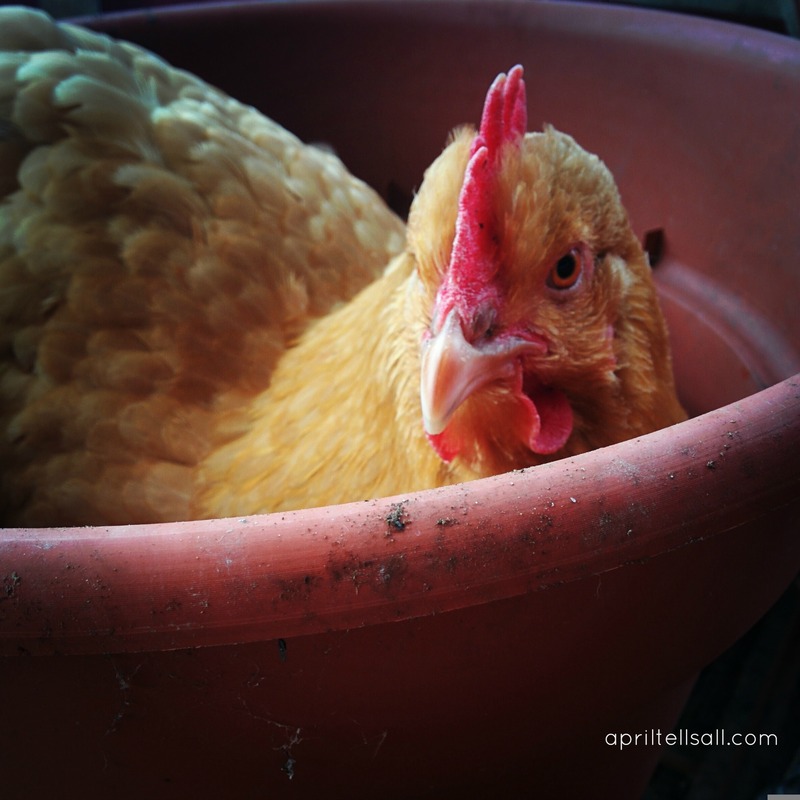 Through early detection, a lot of work, prayer, and natural solutions we have been able to take care of our mite problem without the use of harsh chemicals that could cause problems for the environment, our hens, and ourselves. I can see the white mites flying around in their yard. I am totally for a natural solution as I also have bees. I will be trying your EO with garlic juice as soon as I get all the ingredients. As a quick solution I will try dishwasher with water spray in the coop and around. I use DE on their feathers but got nothing yet for their heads.